In the greenery of the antique trees of via Catullo, in the heart of the peninsula of Sirmione, you can see a beautiful yellow villa: the house that belonged to Maria Callas. For years it was the summer residence of the veronese businessman Giovan Battista Meneghini, but it is known for having housed his wife, the opera star Maria Callas. Born in New York on December 2nd 1923 and passed away in Paris on September 16th 1977, Maria Callas, who made history as the first universally known star of the opera, spent plenty of time in the 50’s in the Sirmione villa of her husband, the wealthy businessman Giovan Battista Meneghini. She didn’t hide the pleasure that these stays gave her, far from the stress of mundane life. 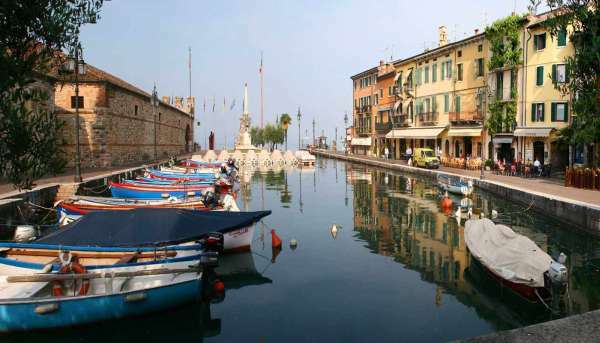 Villa Maria Callas is placed in the central Square Carduccio in the town centre of Sirmione, and has been renovated by the Town Administration of Sirmione in order to host galleries and big events. Chronicles of the time report that the villa, a three story tall building with twenty-one rooms arranged on 780 square metres and furnished personally by Maria Callas, cost Meneghini sixty million lire. 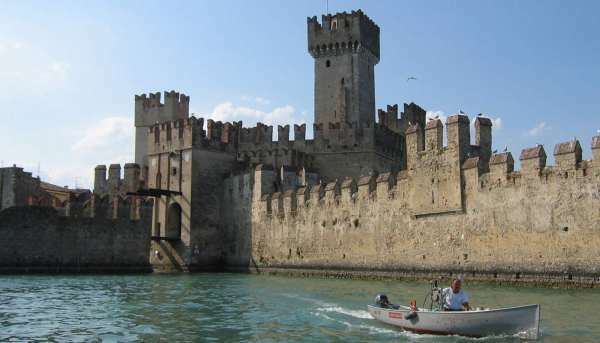 Meneghini arrived in Sirmione for the first time 1952 it is said that he loved this place, that was far away from the lights of the stage, very much. However the villa became the scene of a heart wrenching goodbye. After falling in love with the greek shipping magnate Aristotele Onassis, Maria Callas went to Sirmione with him to talk to Meneghini. It is said that they shared a very quiet dinner, followed by a furious fight that marked a tragic separation. Villa Meneghini-Callas was sold by the «commendator» a few years later and it was separated into different private apartments. All its magnificence can be admired by boat during our navigation around the peninsula.